Hit a short section of creek that I haven’t seen in over a year and in fact I think it might have been almost two since I had walked these banks. 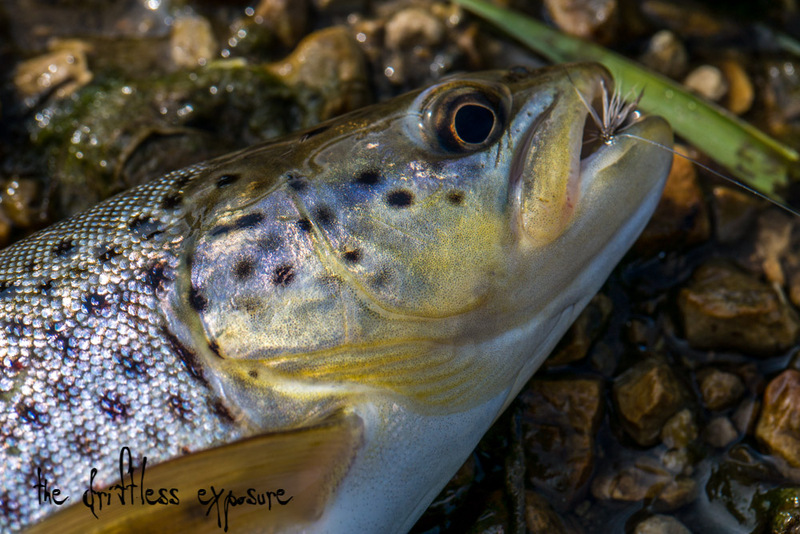 This section of creek offers brown trout and they are typically difficult to catch, minimal nymphing opportunities and as a result I typically fish a smaller streamer or drop a dry fly on these fish. 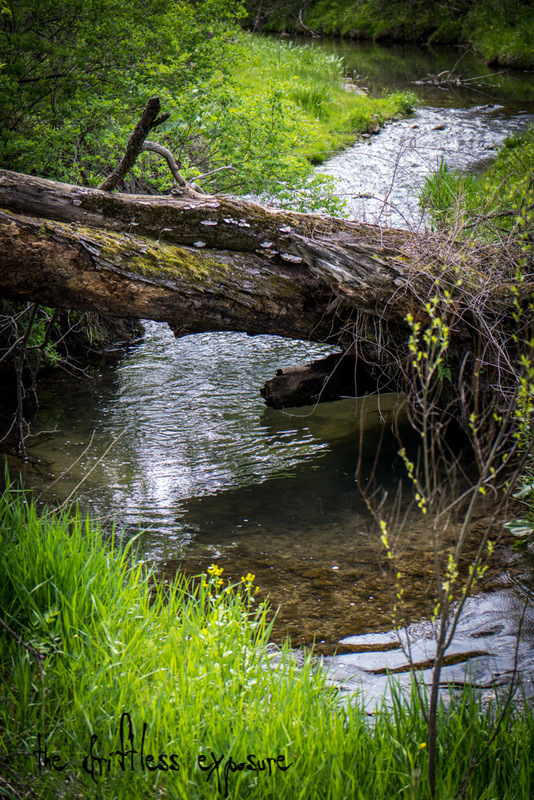 This is a smaller, sandier creek and the runs are pretty shallow, the deeper holes are few and far between yet the dry fly fishing has always been excellent. I’ve been known to fish here during the height of the summer due to easy access and the opportunities to fish an attractor dry or a hopper. Reading a recent post on the MN Trout Forums page written by BluffCountryFlies has me pretty jazzed to toss stimulators in the coming months. Check out the article and the forum for more information. I started downstream and didn’t get more than a couple hundred yards from my vehicle when I saw the first one straight infront of me practically blocking the path I was on. A random Morel staring me in the face. I stopped dead in my tracks and scanned the ground around me, saw the one and then a few more and then enough to make me turn directly around and hike back to the car. I hadn’t planned on easily walking into a patch of Mushrooms but since it was here and I had steak at home I figured I’d be a fool not to collect as many as I could find. Hard to pay attention where you’re walking, the bugs, the trout and the creek all at the same time and as such I just walked very slowly downstream taking everything in one step at a time. 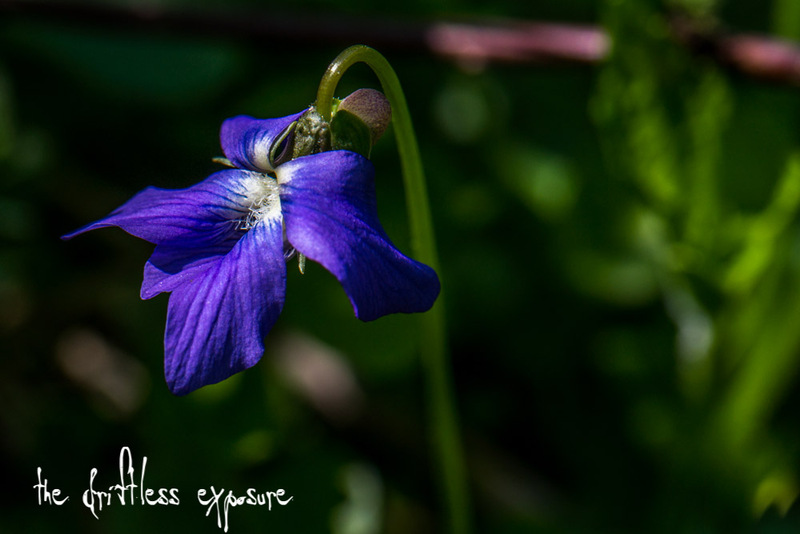 Everything is blooming, frogs and insects are out, it is an exceptional time to be outside. 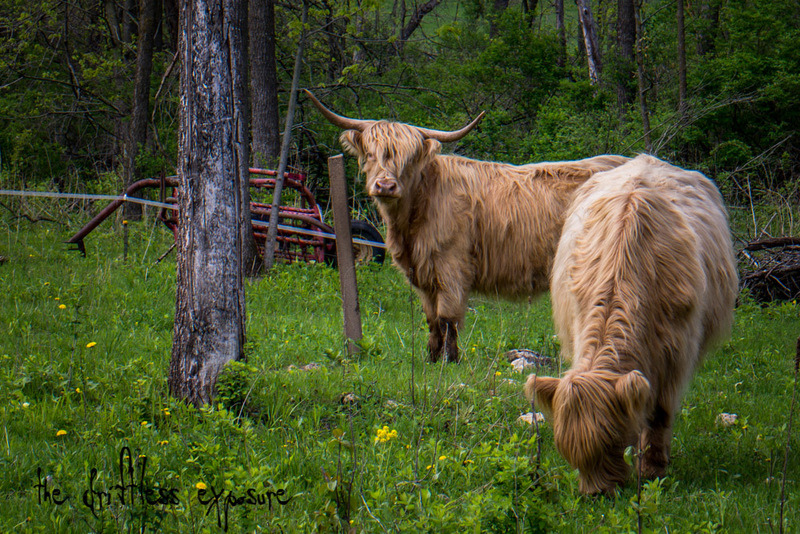 I worked my way downstream, past of bunch of long haired cattle who didn’t mind me getting close enough to take a few pictures, to the spot I start fishing everytime I hike this creek. I was disappointed to find several of the deepest holes silted in and not much opened up to replace it. 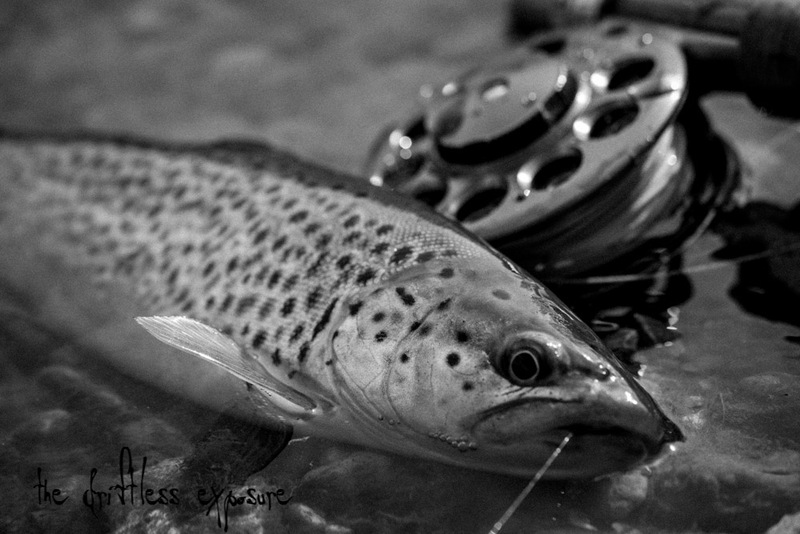 I opted to toss a #18 Grey Caddis despite the lack of surface rising, two casts later my hands smelled of trout slime. I stuck with the caddis and landed a handful more before having to hike myself and my mushrooms back to the car. These short two hour trips that disconnect me from everything rank among my favorite. Continuing with the short two hour burst of hiking, fishing, spying for more mushrooms I took the chance to get out in the mid afternoon for a second day in a row. Conditions were basically the same as the day prior, clean creek water, minimal surface activity although I did spy a caddis or two fluttering around and warm sunny skies. Airtemps both days were reaching into the upper 70’s and probably to the low 80’s. It’s nice to wet wade comfortably again, something that hasn’t happened for well over six months. 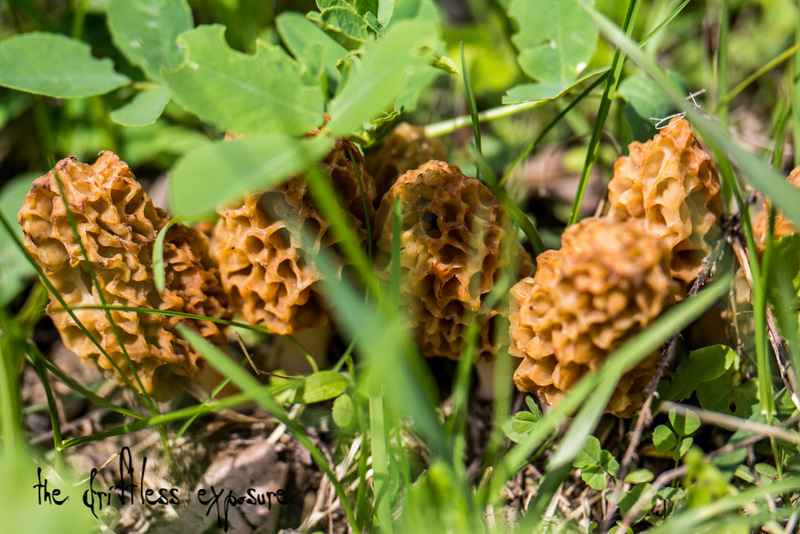 Morels were spied and taken home, apparently I’m getting pretty good at finding these things. The forests are really greening up, the burning nettle is already waist high and growing taller. All the wildflowers are out as well. It’s amazing how fast the forest turns into a jungle when a bit of rain is combined with decent airtemps. Green everywhere. Not much else to say, the #18 EHC from yesterday did the trick as usual and pulled a handful of spotted brown trout in. I’m looking forward to a trip to a brookie stream with a stimulator in hand soon, especially if the airtemps remain this warm. 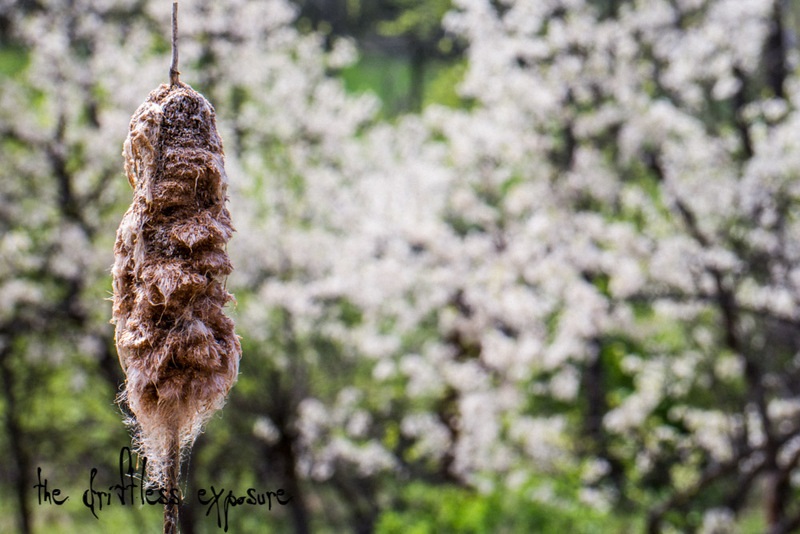 Great stuff, spring is one of the best times of the year to be out in the driftless. Everything is coming to life and thriving. The spring green colors of the driftess are electric and lush. 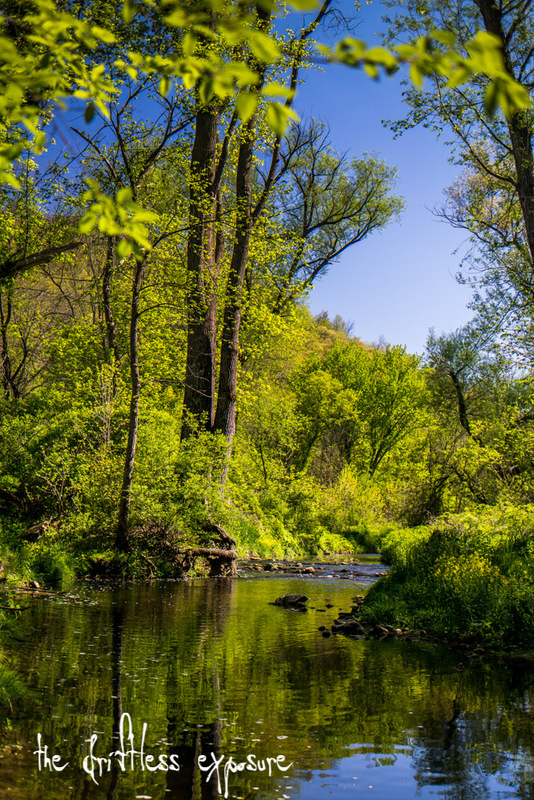 My 20 yr old son and I were out and about the driftless for the memorial weekend. Fishing was good but hey I’m always happy to just be out with my son. 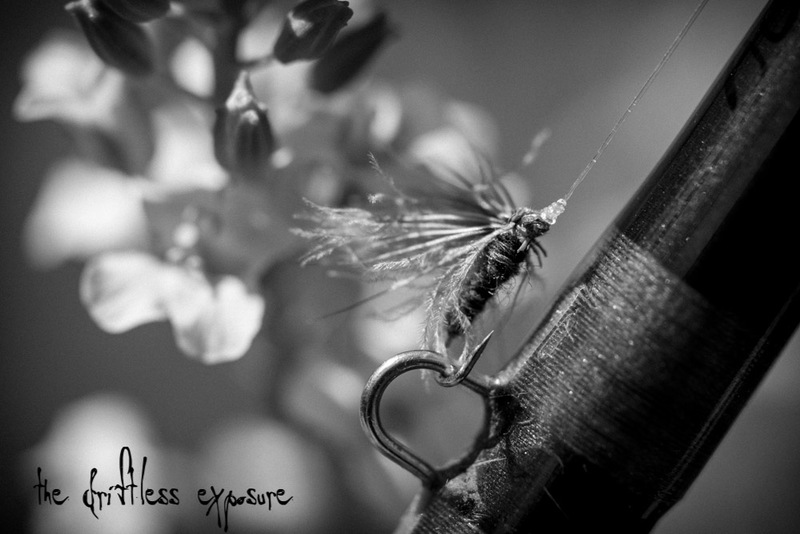 A tungsten bead prince was the fly that the browns were taking non stop for us. Remember live to fish and fish to live!!! Glad to hear you and your son got out over the long weekend JD! I spent it getting my garden finalized but now I will be able to spend more time on the creeks. Those long horns had me a bit worried the first time I ran into them. X2 for wet wading season! Keep up the good work. Thanks man, yes wet wading season… man is it a welcome change!